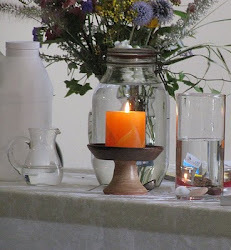 UU A Way Of Life: Spiritual practices - give it up! 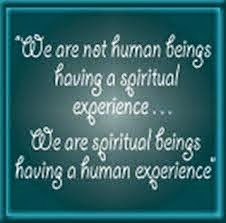 Spiritual practices - give it up! Having been raised a Roman Catholic I was taught that there was value in giving things up. We were taught not to eat meat on Fridays, not to eat at least an hour before receiving Holy Communion, to fast on certain days, and that other forms of corporal discipline such as kneeling, staying awake to pray during overnight vigils, etc. was "good for one's soul." The biggie was giving things up for Lent. This past Lent I gave up caffeinated coffee which is mood altering for me usually in a positive way. It was quite a sacrifice, but I did it and am proud of my small achievement. What does giving things up do for a person's spirit? It makes one much more aware of oneself and one's world. This awareness is the product of self conscious struggle to discipline one's physical nature in service of the psyche and the spirit. If these small sacrifices makes one more sensitive, more compassionate, more merciful, more purposeful and deliberate in one's life they are well worth the effort. When done in community, they are even more powerful when one is aware that one's struggles are joined by the similar struggles of others. I know of no similar spiritual practice in Unitarian Universalism. I know that there are individual practices and cause related practices, but I know of no institutionally endorsed practice of physical mortification. All religious traditions have their spiritual practices of physical mortifications whether it is getting on your knees and praying to Mecca 5 times a day, bathing in the Ganges, sitting in the lotus position to meditate, or giving things up for Lent. How come Unitarian Universalism does not endorse some religious practicies of physical mortification which would identify us as a religious community which is willing to mortify the flesh for the greater spiritual and communal good? Please share your thoughts on this topic. I am very interested in what you think? 3.to subject to severe and vexing embarrassment : shame. Why would you want to subject anybody, UUs or others to that?. Maybe it's your RC indoctrination, but use your rational mind, man. Get over it. Jeremy, I don't think it is positive for these practices to be dehumanizing, abusive, denigrating, or masochistic. They, misused, can become this and perhaps this is why we have eschewed asceticism. Rather, they should empower, embolden the spirit, and give one a sense of opening up to something transcendent beyond the egotistical "me". Like any practice, it is not the practice in and of itself which has value but rather the meaning and purpose that the practitioner makes of it. This past Lent I gave up protesting in front of the Unitarian Church of Montreal which is mood altering for me usually in a positive way. :-) It was quite a sacrifice, but I did it and am proud of my small achievement. I am happy to read your comments. I was wondering about you because of your silence. I am glad to learn that you are well. Are you familiar with Ken Wilbur and his work on what he calls the Integral Operating System?